Enhance your daily beauty regimen with our BeautyPrep™ Face Cleanser, Toner, and Moisturizer. Bundled in an exclusive jane iredale bag, this trio of high performance skincare products works to optimize the benefits of the mineral makeup you love. BeautyPrep™ Face Cleanser Mini A micellar cleansing water that uses an antioxidant- and vitamin-rich liposome formula to remove dirt, oil and impurities without drying out the skin. BeautyPrep™ Face Toner Mini A refreshing, pore-refining toner that hydrates deeply while balancing pH and restoring the skin’s surface. BeautyPrep™ Face Moisturizer Mini A revitalizing moisturizer that protects the skin from airborne pollutants while helping it hold onto moisture. 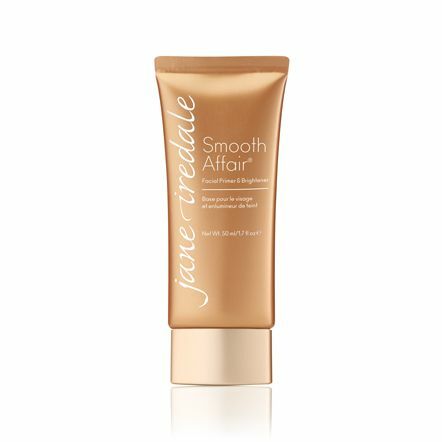 It preps the surface so makeup goes on smoother and lasts longer. Moisten a cotton pad with a small amount of Cleanser, then gently wipe face to cleanse. Gently apply Toner with a cotton pad to the entire face and leave on as a base for moisturizer. Use your fingertips to apply a small amount of Moisturizer on the entire face and neck.